Non-SAR trick: Stop, Drop & Roll. This trick is great at demonstrations, to engage the children! 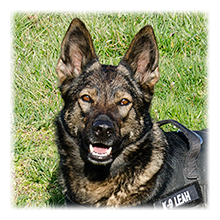 Notes: Leah was the fastest certified dog in VSRDA. She's pretty darn smart!